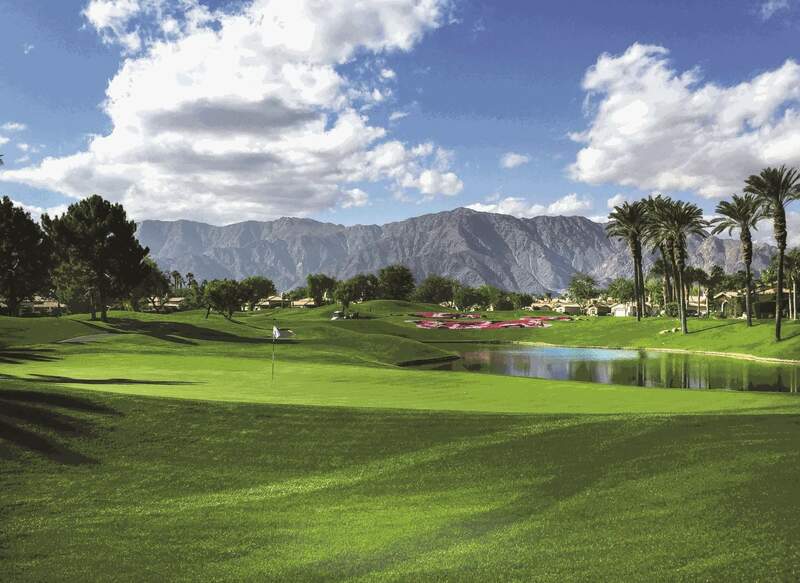 Rancho La Quinta offers two world-class 18-hole private courses to both challenge and inspire. Two different style courses means golf members experience an enjoyable variety without ever leaving the club. Our championship links include a traditional course by the highly acclaimed Robert Trent Jones Jr. and a second, more modern layout by former U.S. Open Champion Jerry Pate. In addition to spectacular golf, these courses treat players to dramatic water features, million-dollar mountain views and the striking beauty of the deep emerald turf against the ever-changing tapestry of desert colors. The abundance of golf amenities enables us to accommodate players of all skill levels and ages. Each course offers eight different tee combinations ranging from 7063 yards down to 5183 yards. The driving range and short game area present opportunities to hone your skills. The driving range has six target greens, allowing players to practice all the demanding shots experienced on the course. The facility also provides a chipping green and two putting greens, generous enough in size to host all players. © Rancho La Quinta. All Rights Reserved.